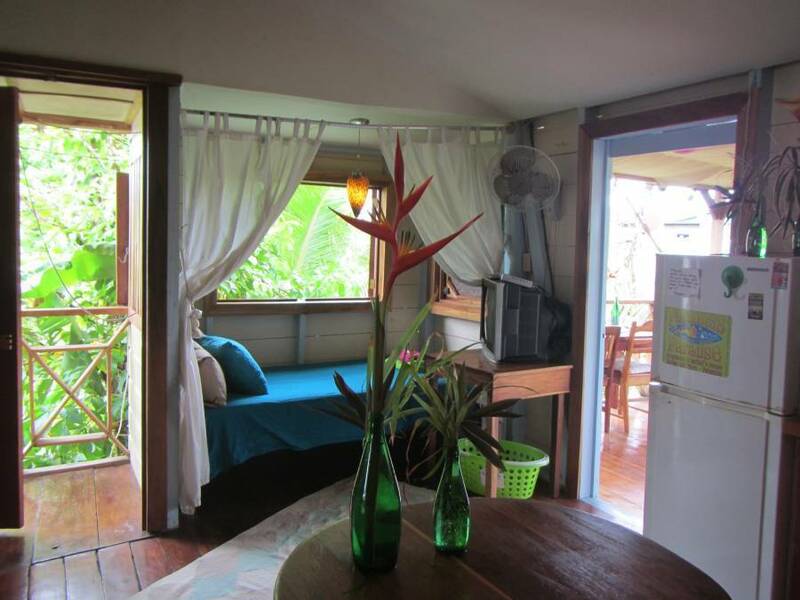 On the main Island of the archipelago Bocas del Toro, named Isla Colon, you'll find the Caribbean Cabanas Saigoncito`s. Saigoncito`s exists out of 10 rooms, apartments and cabanas. 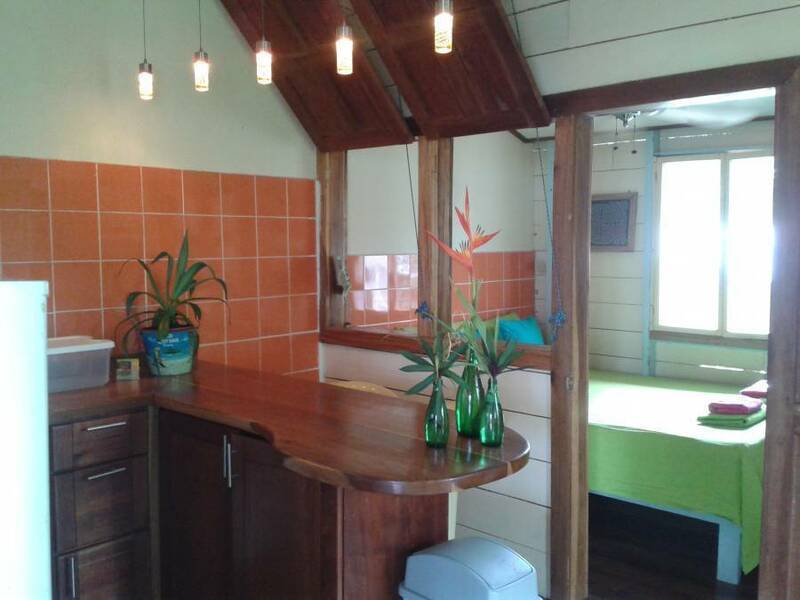 All are situated on a small property, surrounded by lot`s of green and one cabana right next to the other. The Caribbean cabanas are located in a small and friendly neighborhood, called Saigon. Quiet but meantime very lively and Caribbean! 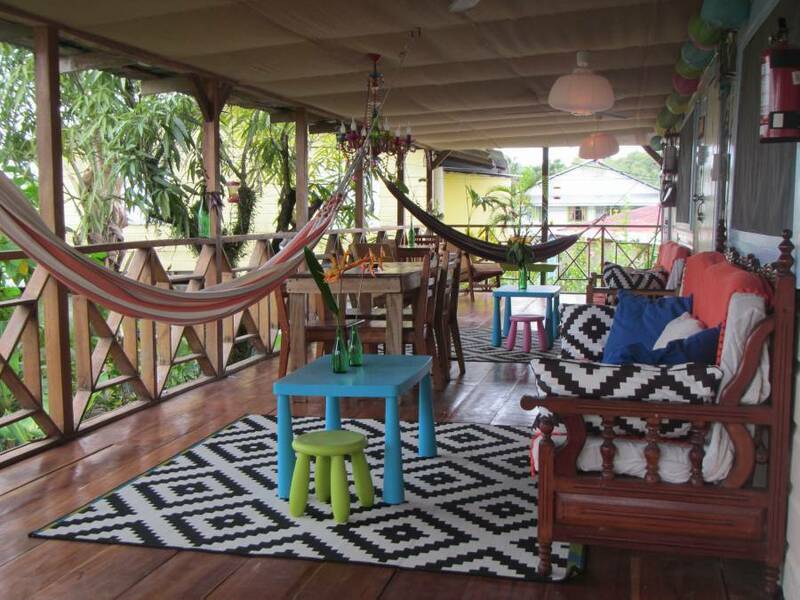 Bocas Town Beach ¨la Cabana¨ is around the corner and you're just a five minutes bike-ride away from Bocas Town. A bike is included for all our guests! 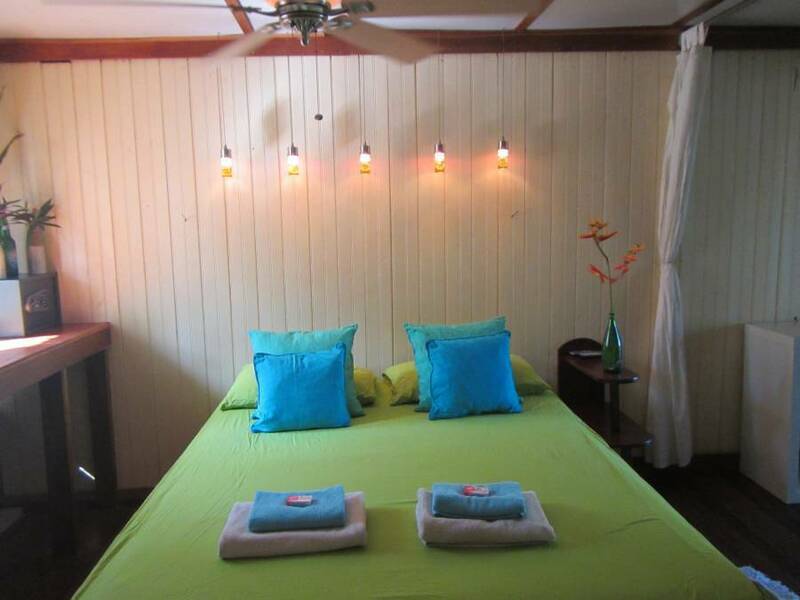 Saigoncito`s Caribbean Cabanas are built in the Caribbean, Colonial style that is widely seen in Bocas. 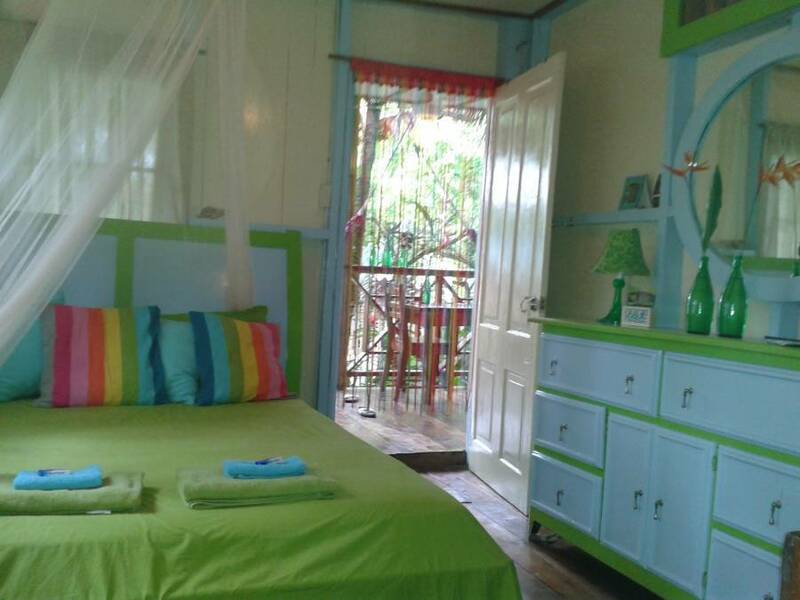 The wooden cabanas stand on stilts, are colorfully painted and have spacious verandas with hammocks. The cabanas are surrounded by lots of trees and tropical plants. Fairly hidden in your hammock you'll enjoy the numerous visits of the hummingbirds to the garden while some local chicken are wandering around. The cabanas are fully furnished and nicely decorated. Inside the cabanas you will find all the luxuries that you're familiar with at home: Wireless internet, cable or SKY TV, a fully equipped kitchen, semi- orthopedic mattresses, security boxes, ceiling vans and hot water showers. If you want to know what life is like in Panama's Paradise, come to Saigoncito`s and find out! The balconies with the hammocks are great. the kitchens are fully equipped. The rooms are nicely decorated and there is TV and Wi-Fi. The beds are like you have at home. The Caribbean cabanas are located in a small and friendly neighborhood, called Saigon. Quiet but meantime very lively and Caribbean! With your bike you are with 5 minutes in Town and the beach is around the corner. By cancelations within 14 days before arrival, the first night will be charged. 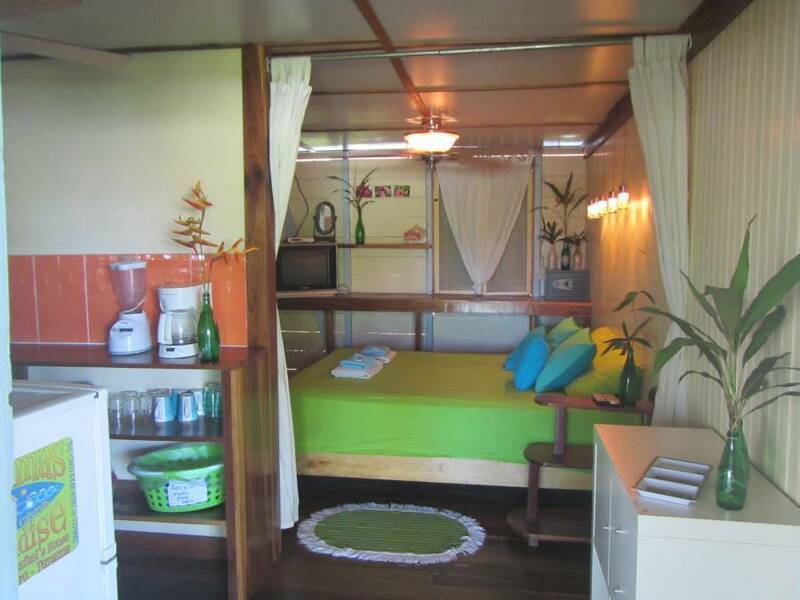 When you get to Isla Colon, take a taxi to Saigon, to Jenny's Cabanas.